Life is like a box of chocolates and you never know what you might get. 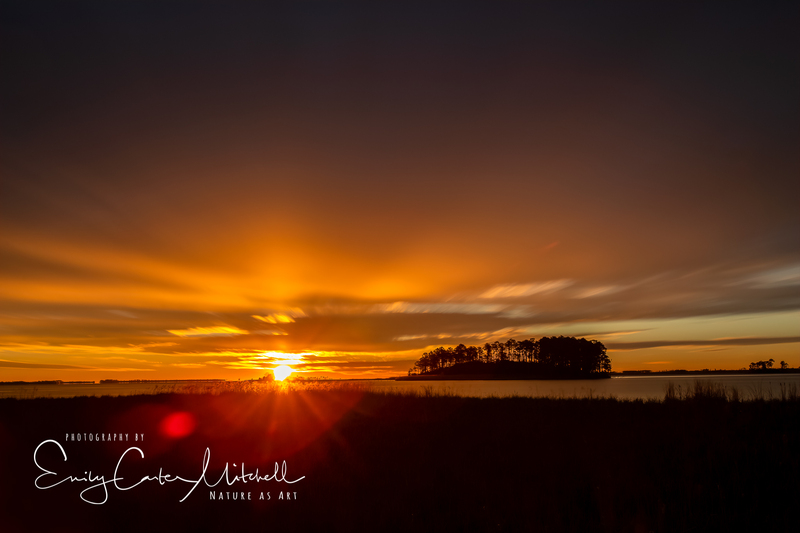 This month I’ve had the time and opportunity to travel out to Cambridge, Maryland and visit Blackwater National Wildlife Refuge several times. It’s an expansive place and I’ve only just begun exploring some of the lesser known roads within the 28,000 acre refuge. Each morning that I’ve gone it has been completely different than the last. The winter’s sunrise brilliance, unique with each visit. 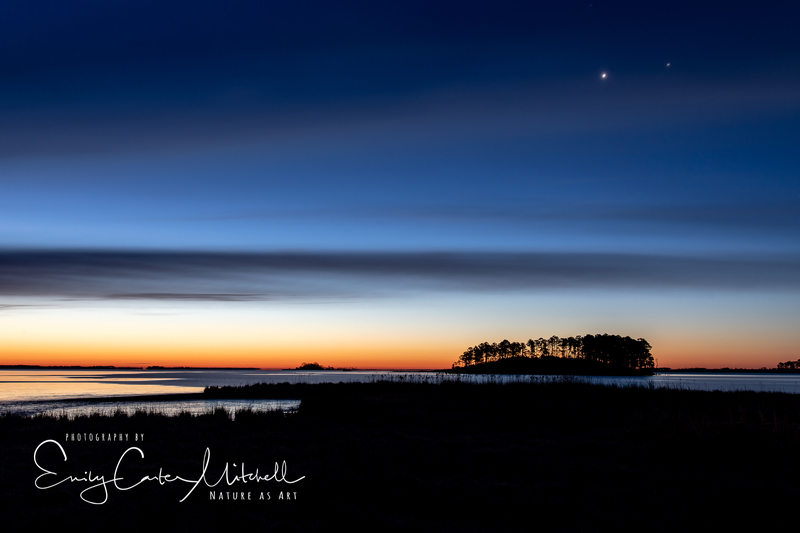 With a clear night and crisp cold morning the view of Venus and Jupiter overhead as the blue hour gave way to the oranges of the rising sun. It’s a beautiful spot where time seems to stand still. Huge flocks of Red-winged blackbirds rise into the sky, awakening the world with the beat of their wings. There is something to be said about really getting to learn a place. No two days are the same in nature and it continues to surprise you and yes, even some days disappoint you. Whether it be poor light or lack of a subject. Each day is anew and gives us a fresh start. It’s easy to be stuck in the past or to worry about the future. Mindfulness of the present and quieting the mind and opening up your spirit will lead to possibilities and scenes that you otherwise might have missed. Beautiful to see the different moods of the place. It always surprises me how different it is each time I visit. Thank you and happy you enjoyed it. it is incredible, and to slow down and just appreciate nature is always priceless. Thank you Shannon. I don’t know why I though you were in Annapolis Donna. 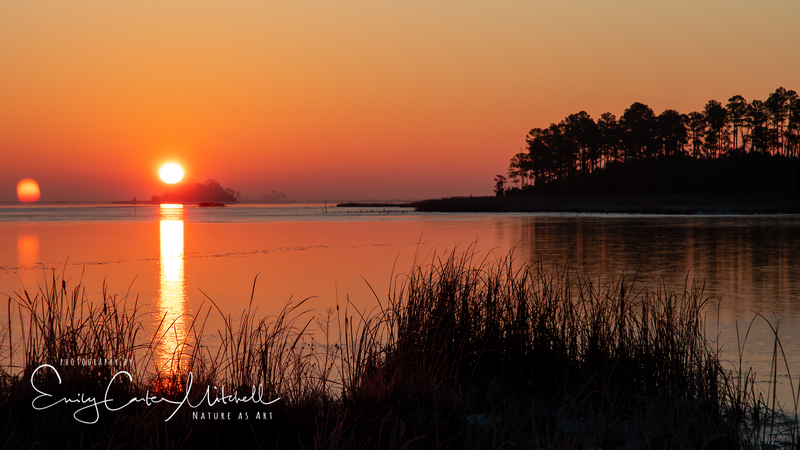 Wintertime sunrises does help as it isn’t quite as early as in the summer. At least you don’t have the hour and a half drive that I have to get there. 🙂 Enjoy BW for me as much as you can.